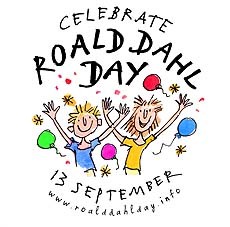 By way of introduction, I was made aware of the fact that TODAY is Roald Dahl Day. True thing! Who knew? At any rate, I was approached about writing up a guest post in honor of the occassion and I accepted. Here are some interesting facts about Mr. Dahl that you might not be aware of (I certainly wasn't). September 13th is Roald Dahl Day (also known as Roald Dahl’s birthday), and it just so happens that it falls on Friday the 13th this year - which makes the mischief and mayhem that much more exciting. Since its inception in 2006, Roald Dahl Day has been a day to celebrate one of the greatest storytellers of the 21st century. Every great writer needs inspiration, and a major part of Dahl’s inspiration came from his childhood and personal experiences. In his younger days, he was an avid reader, especially awed by fantastic tales of heroism and triumph. Amongst his favorite authors were Rudyard Kipling, William Makepeace Thackeray, Frederick Marryat and Charles Dickens, and their works went on to make a lasting mark on his life and writing. Dahl’s most famous works include Charlie and the Chocolate Factory, Matilda, James and the Giant Peach, The Witches, and The BFG, all of which have film adaptations. All of these classic children’s stories were heavily influenced by Dahl’s personal experiences in life, and some characters are even loosely based on real people that were a part of Dahl’s life. The Big Friendly Giant in The BFG has been said to be based on a sweet-natured Norfolk builder that Dahl hired in 1954 to help with a variety of building projects, including building Dahl’s famous writing shed. The builder’s name was Walter “Wally” Saunders and he died in 2004 at the age of 91. He was remembered as a huge, sweet hearted man, who will be forever immortalized in The BFG. Another character based on a real person in Dahl’s life is Sophie, the little girl in The BFG. Sophie was loosely based on Dahl’s late daughter Olivia, who died in 1962 from measles encephalitis at age seven. The 1982 children’s novel, The BFG is dedicated to Olivia’s memory. In the 1983 children’s book The Witches, a young boy goes to live with his grandmother after his parents’ deaths. The grandmother in the story is based on Dahl’s real-life mother and was intended as a tribute to her. The Witches also gives a little cultural background to Dahl’s ever-present macabre tone–his parents were Norwegian, and aside from the fact that Scandinavian folklore is incredibly chilling and violent, “the Norwegians know all about witches, for Norway, with its black forests and icy mountains, is where the first witches came from.” The story involves the boy being turned into a mouse at a hotel convention of child-killing witches and then him plotting revenge with his grandma. Eventually they destroy the witches of England, and plot to destroy the witches of the world. Dahl began attending Repton Preparatory School in 1929 in Derbyshire, England, where the chocolate company Cadbury would occasionally send boxes of new chocolates and candies to be taste-tested by the pupils. As a result, Dahl began to dream of inventing a new kind of chocolate bar that would impress even Mr. Cadbury, and this idea became the inspiration for his third book for children, Charlie and the Chocolate Factory. Dahl included references to chocolate in many of his other children’s books as well. Preparatory school was not a very pleasant experience for Dahl. Dahl was shipped off to boarding school as a result of what he and his eight year old friends called “The Great Mouse Plot of 1924.” All five boys were caned by the headmaster after they placed a mouse in a jar of gobstoppers at a local sweet shop owned by a “mean and loathsome” old woman called Mrs. Pratchett. These terrible experiences lead to Dahl writing Matilda. Dahl was a troublemaker as a child and his mother thought it had to do with the loss of his father - in 1920, Dahl’s father died of pneumonia while on a fishing trip in Antarctica just weeks after Dahl’s older sister died from appendicitis. The early loss of his father influenced the adventure of the orphan James Henry Trotter in the children’s novel James and the Giant Peach. James was just four years old when his parents were trampled by an escaped rhinoceros. Dahl was just one year younger than James when his sister and father died. Roald Dahl is an amazing storyteller, and nothing makes for great stories like personal experiences. Dahl’s classic children’s tales are wonderful both for kids and for the adults reading them aloud. His works are also great starting books for young ones first learning to read chapter books. Dahl’s macabre style came from not-always-pleasant memories, but he managed to turn them into timeless children’s classics. Happy Roald Dahl Day, all you mischievous readers! Author Bio: Blake Meredith is an arts and entertainment blogger for GetDirectTV.org. Her favorite Roald Dahl book is James and the Giant Peach. When not blogging away, Blake enjoys writing science fiction, humorous, and feel good short stories. She also enjoys long boarding and exploring the city. She currently lives in Chicago, IL. I do like to learn more about authors and why they write what they do. An appropriate guest post for today, it seems!